Filming is underway in Melbourne on the second season of Glitch, with new cast members Rob Collins (Cleverman, The Wrong Girl), Luke Arnold (INXS: Never Tear Us Apart, Black Sails), and Swedish legend Pernilla August (Star Wars, Fanny & Alexander). 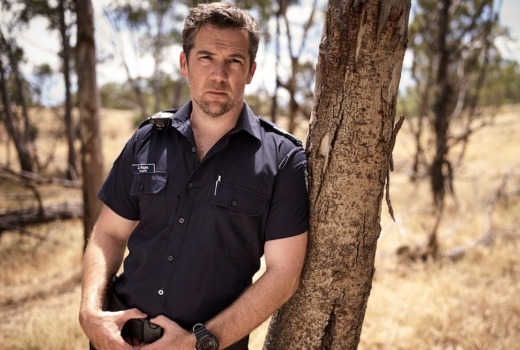 They join returning cast Patrick Brammall, Emma Booth, Genevieve O’Reilly, Rodger Corser, Sean Keenan, Hannah Monson, Ned Dennehy, Emily Barclay and Aaron McGrath. The paranormal series from Matchbox Pictures won both fans and awards, ahead of global interest thanks to its run on Netflix. But it has also been in the firing line of commercial TV execs and Screen Producers Australia accusing Netflix of entering into a co-production subsidised by public funds. An ABC spokesman said the deal delivered a “better outcome” for Australian audiences. Glitch will film on location in Melbourne and regional Victoria until the end of March and will premiere later in the year. Production Credits: A Matchbox Pictures production in association with ABC TV, Netflix and Film Victoria. Distributed by NBCUniversal. Created by Tony Ayres and Louise Fox. Produced by Julie Eckersley. Directed by Emma Freeman and Tony Krawitz. Executive Producers Tony Ayres, Louise Fox and Chris Oliver-Taylor. ABC TV Executive Producers Alastair McKinnon and Brett Sleigh. I really enjoyed Glitch & am really looking forward to season 2.